Fancy a little treat? Go on, I think you do after all of the Christmas shopping you’ve been doing. 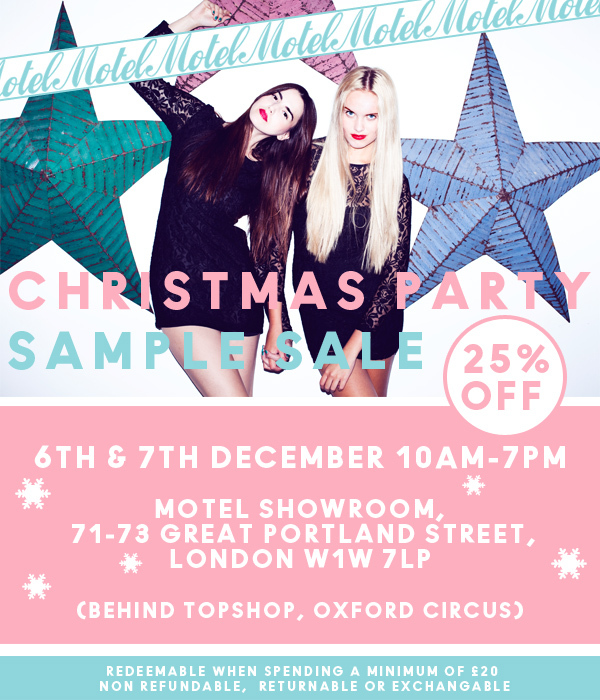 Motel Rocks are hosing their Christmas sample sale this week, from 7th-8th December…just in time for the weekend. Head down to their London Showroom for current and cult samples with up to 90% off! I have a special 25% off coupon too so just print this off and bring it along to get your voucher. See you at the rails!